Earn $0.89 in Rewards credit (89 points) What's This? 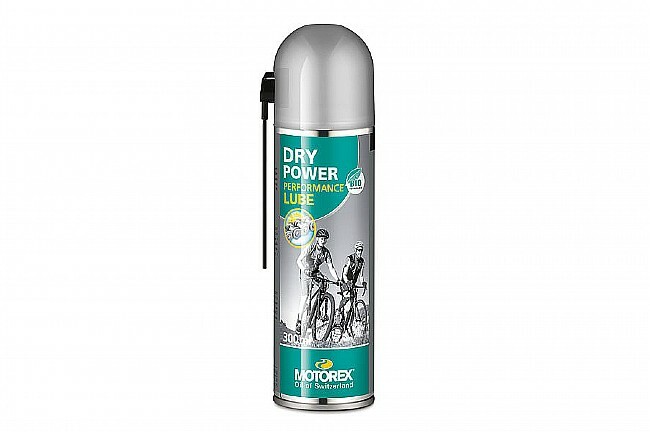 The Dry Power Lube from Motorex is a biodegradable, fully synthetic oil wax-based lubricant. It's specifically formulated to penetrate quickly, lubricate, and form a homogeneous protective surface that prevents corrosion, wear, and abrasion. It's optimized for use in dry, dusty conditions. Available in in a 56mL and 300mL spray can. The 56mL spray can is refillable from the larger 300mL can.